While Google and Essential have already rolled out the stable Android Pie builds to users, HMD Global is moving at its own leisurely pace and has today started rolling out the final Android 9 Pie developer preview to Nokia 7 plus. HMD Global announced the rollout of the latest developer preview (which is synonymous with Android P beta 4) for Nokia 7 plus via Twitter. There was a feeling that Nokia had been expecting a delay in the rollout of the next developer preview, and might directly give us the stable build. However, HMD is looking to test all the new AI features that have been introduced in Android Pie before rolling out a stable build. You can see in the screenshot below, the latest build carries the build number (V3.150) and comes at 1480.5MB in size. The gesture navigation bar, which was removed in the previous build, has been brought back in this build and you’ll now be able to swipe through to access the recent apps and app drawer. You also get the new colorful settings menu, notifications design, along with the new Adaptive Battery and Adaptive Brightness features. While I’m really excited to test out all these features, the one thing that’s an eyesore in the changelog is the previous month’s security patch. Now that the August patch is out and already running on all four Pixels and the Essential PH-1, so I expected to see the latest security features being rolled out with this build. 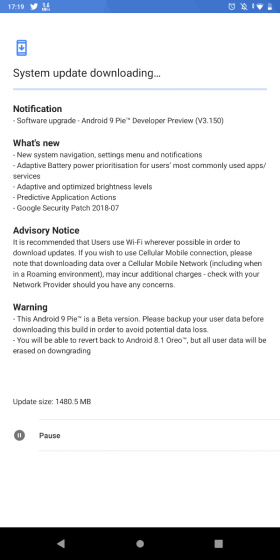 Note: Our Nokia 7 plus received an OTA update for the latest build since we’d signed up for it when the previous developer preview was released. You can still manually sideload the latest build from Nokia’s developer website. HMD hasn’t given us the stable Android 9 Pie build right away, but I’m satisfied with the fact that the company is looking to weed out any remaining bugs with the rollout of this latest developer preview build. 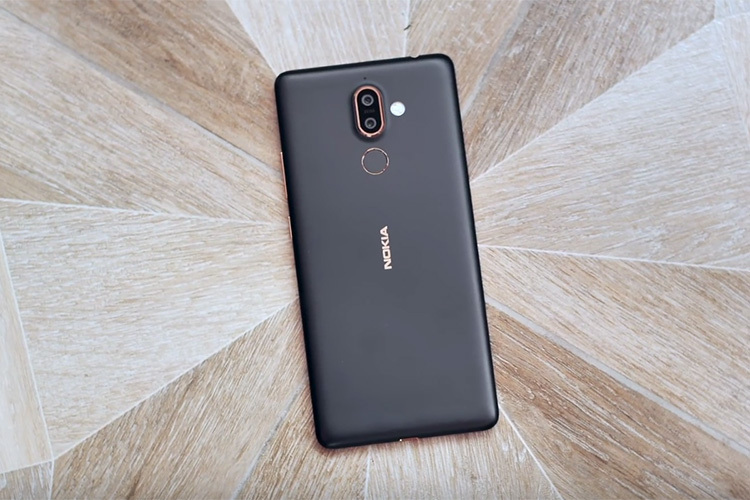 So, have you updated your Nokia 7 plus to the latest DP? Share your experience with us in the comments below.